Suspiria Blu-ray release date was set for January 29, 2019 and available on Digital HD from Amazon Video and iTunes on January 15, 2019. The Markos Tanz Company is a celebrated institution in Berlin for aspiring dancers. One such talented dancer, Susie Bannion, travels there from America to further her budding career. On the evening of her arrival, another dancer mysteriously disappears. As she climbs up the ranks under the close guidance of the company's esteemed artistic director, she befriends another dancer. This new friend shares her theories about the disappearance of the aforementioned dancer, and other mysteries the Company may hold. 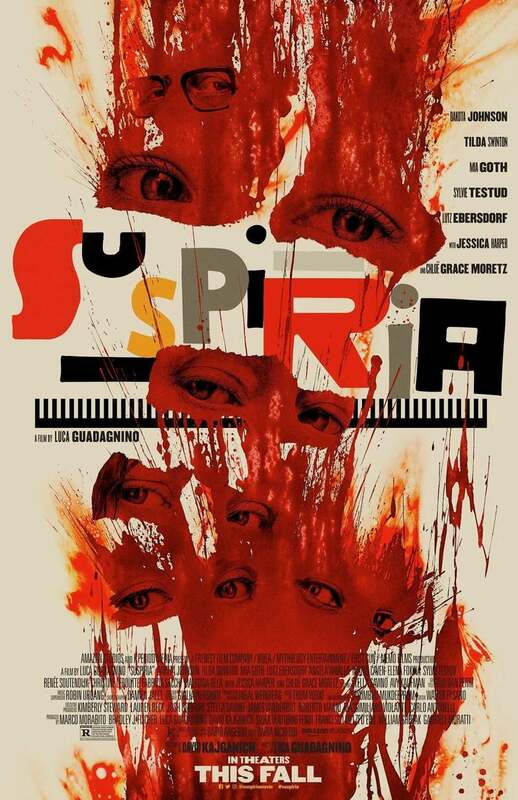 DVDs Release Dates is the best source to find out when does Suspiria come out on DVD and Blu-ray. Dates do change so check back often as the release approaches.